Good Morning friends! 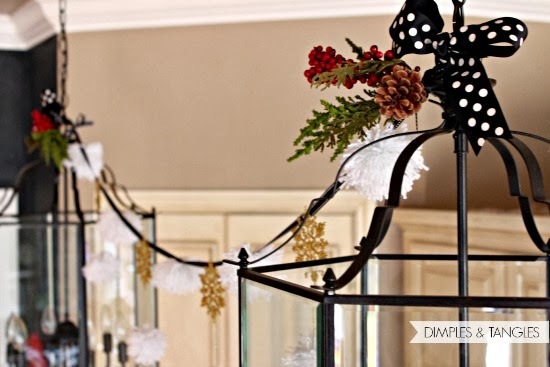 I'm in the middle of a big decking-the-halls mess, but I wanted to pop in today to share another super simple idea with you. 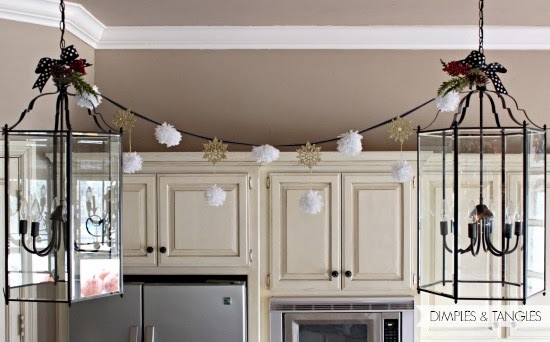 I made an incredibly easy pom-pom garland. I intended to use it on my mantle, but it wasn't quite right. 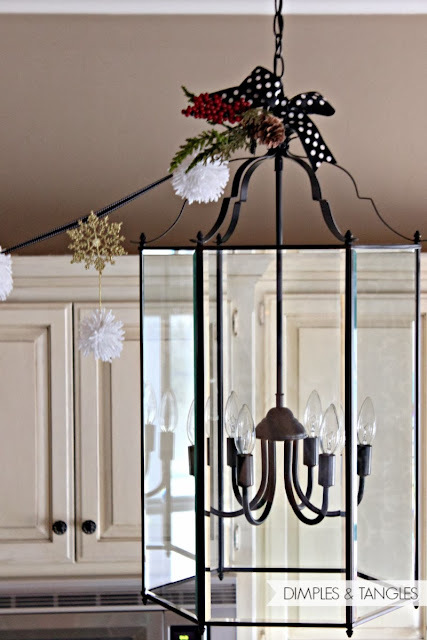 So, while looking for another spot for it I decided the kitchen lanterns needed a little bit of holiday cheer. I used this tutorial to make the pom-poms with just my fingers and yarn. SO easy, even my kids have made a bunch of them. Then, I just used hot glue to adhere them to a ribbon, and added some gold snowflakes in between. I used a gold string and hot glue to add some poms to the bottom of each snowflake as well. Then I added a bow and sprig of greenery to the ends and it finished it off just right. That's it for today... I'm headed to help decorate our church today and then it's back to the tubs and tree and mess for me...ready to be finished! 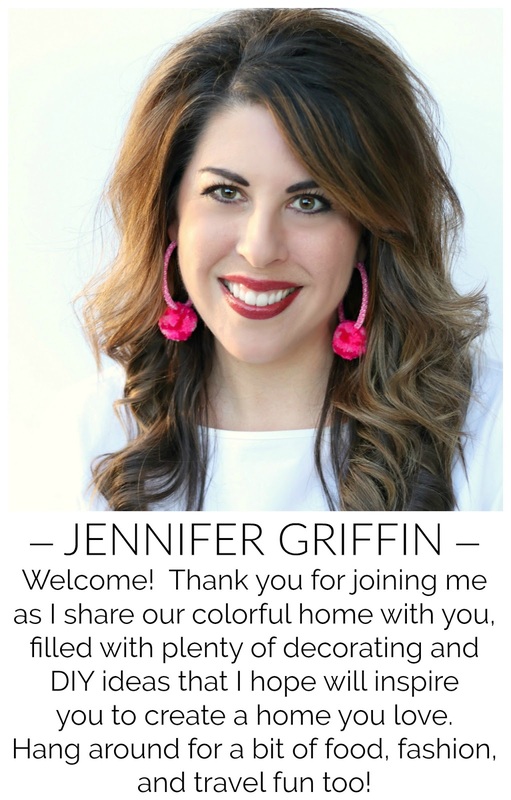 The yard pom poms are so fun, Jennifer! Super cute Jennifer...I love it!! What a fun addition to your kitchen! I'm with you, ready to be done! So so adorable!! I love it! You always make everything so special and beautiful. so pretty! i have been wanting to make a pom pom wreath! 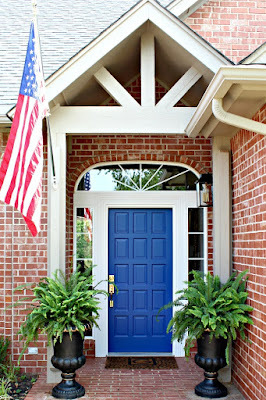 So cute and simple. I love it!